ST. AUGUSTINE, Fla. -- The 80's are making a comeback and that means business -- literally. The music of the 80's is proving profitable for the St. Augustine Amphitheater. A string of acts from the 80's are on the schedule to perform at the St. Johns County venue. Duran Duran is one of them. The group made young hearts go pitter patter in the 80's, and now? "They're just as handsome as ever," Dianya Markovitz beamed. She remembers seeing Duran Duran in concert in the 80's when she was little. 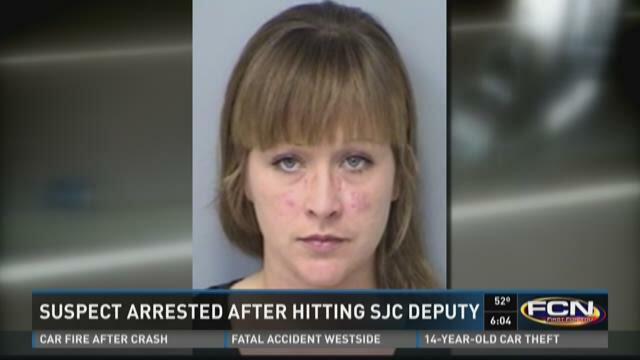 Now she works at the St. Augustine Amphitheater, where the band will perform in March. She said there was a lot of excitement when the band was booked. "When it happened, I think everyone at the venue let out a huge "Yeah!" Salt N Pepa, Kid N Play, and Tone Loc are a few more. Richard Marx will return to the Ponte Vedra Concert Hall. 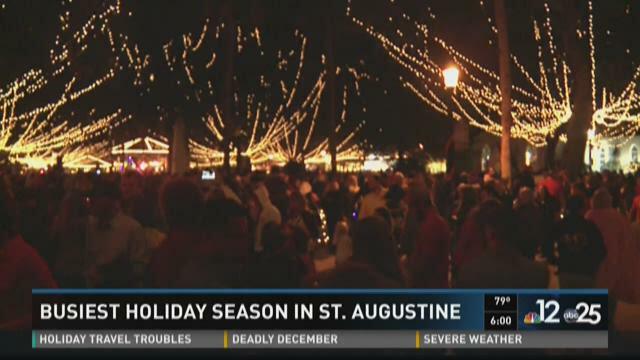 ST. AUGUSTINE, Fla. -- Locals in St. Augustine are saying this year's crowds for the Nights of Lights are the biggest they have ever seen for the holidays. During the holiday season, visitors usually pack into St. Augustine even during the day. But the nights are proving to be busier than normal. "It's been crazy," said Amy Stevens, a waitress at the Prince of Wales restaurant in downtown St. Augustine. 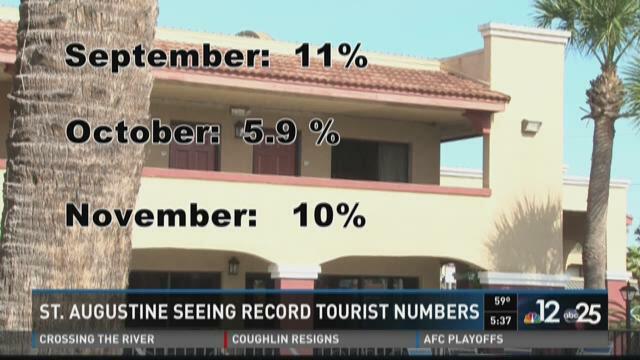 Stevens says business has been double what it usually is for the holidays. "I'm from here and I've seen a serious increase in the amount of business in the last ten years," she said. ST. JOHNS COUNTY, Fla. — A bicyclist has died after being involved in a crash with a pickup truck in St. Augustine Wednesday evening, authorities said. The accident happened about 11:30 p.m. on County Road 208 just east of Joe Ashton Road. According to the St. Johns County Sheriff's Office, a 1996 Chevrolet pickup truck and the bicyclist were both traveling east on C.R. 208 when the crash occurred. The driver of the pickup called 911. The bicyclist, deputies said, was transported to Flagler Hospital where he was pronounced dead. The bicycle was equipped with reflectors, investigators said, however, they did not find any evidence indicating the bicycle was equipped with lights. The sheriff's off has not released the victim's name pending notification of next of kin. ST. AUGUSTINE, Fla. — Outside city hall in the nation's oldest city there were artists, writers and performers protesting the city's ordinances that spell out where they can set up shop. St. Augustine is being challenged in court with ordinances that make the popular yet narrow St. George Street off limits certain hours to performers. Other nearby areas also have similar restrictions. "This is absurd what this city is doing - and the fact it has been going for 20 something years - this needs to change, "said Angel Jones, who made the trip from Melbourne to support fellow artists and performers. Earlier this year, a lawsuit was filed with a hearing held in August. A federal judge has yet to rule on the lawsuit that has several people claiming the ordinance on the books violates the First Amendment and free expression.